All babies are different with teething. My youngest child started teething and cut her first tooth at 3 months, but normally it’s more like 6-8 months that babies start teething. Make sure you check out the printable teething schedule at the bottom of the page! Teething usually begins around 6 months of age. 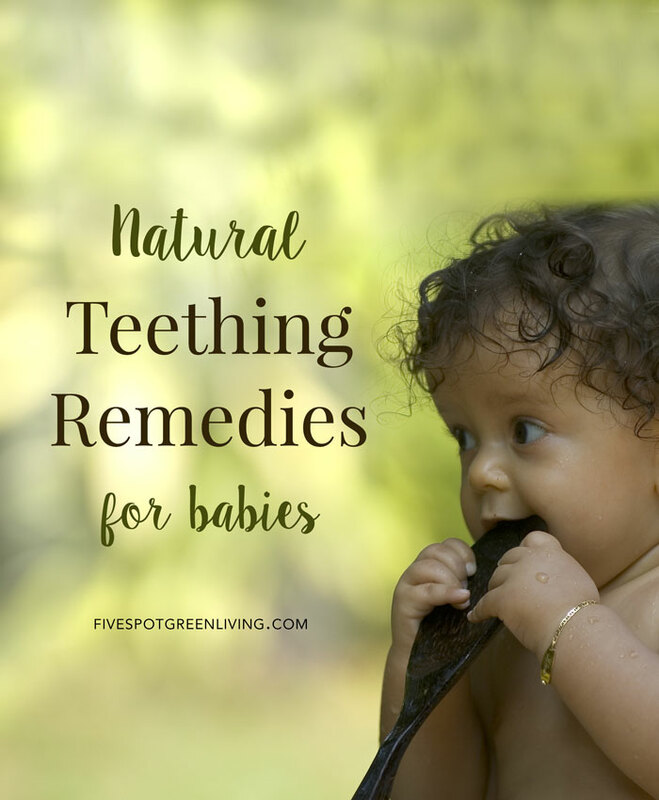 But it is normal for teething to start at any time between 3 months and 12 months of age. By the time your child is about 3 years old, he or she will have all 20 primary teeth. The lower front teeth usually come in first. If you notice several of these symptoms together, it’s very likely that your child is teething – but there’s always the chance that it’s something else. 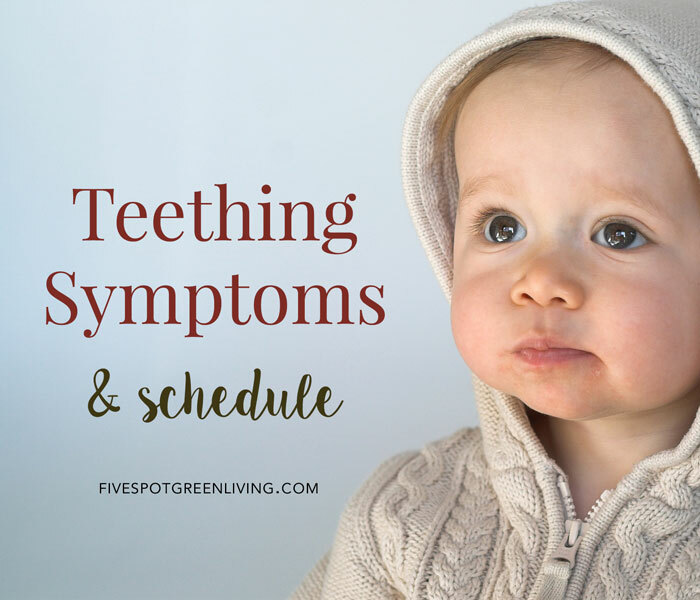 What is the average baby teething schedule? 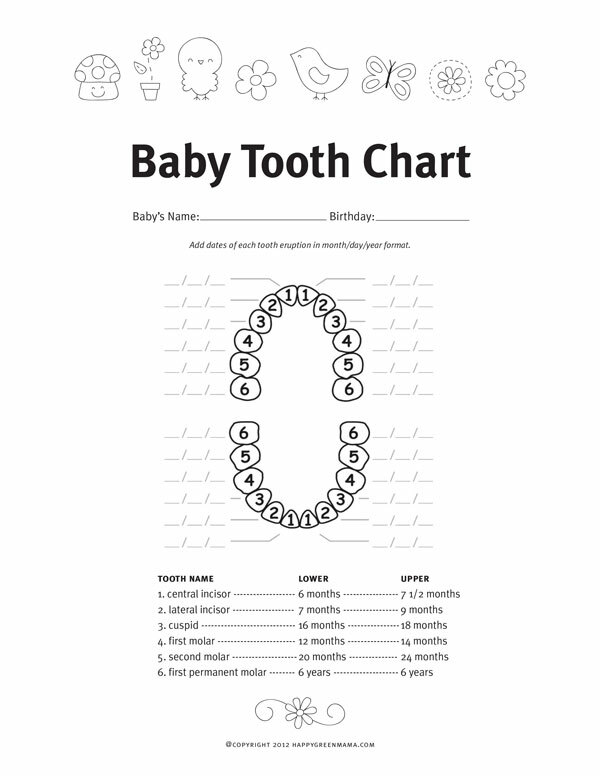 check out this free printable of a baby teething schedule tooth chart and a memory-keeper date recorder.